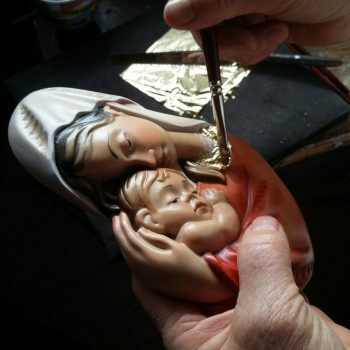 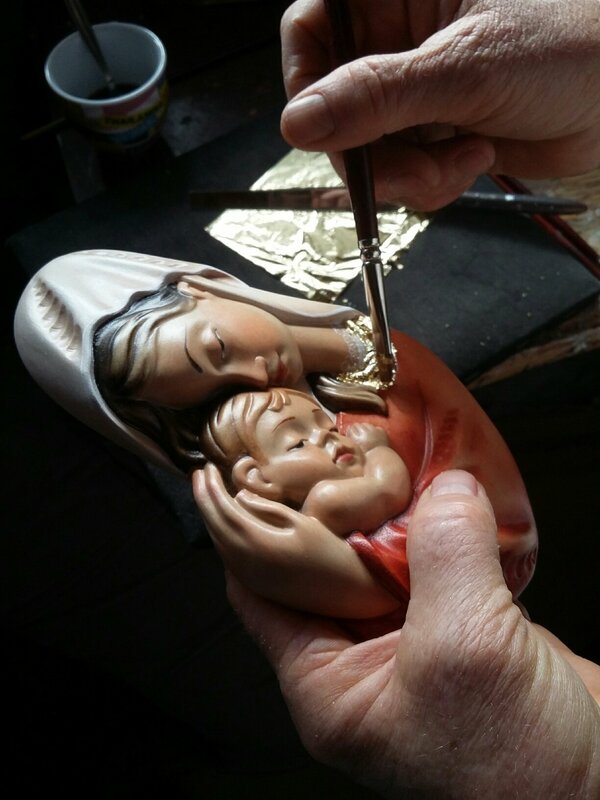 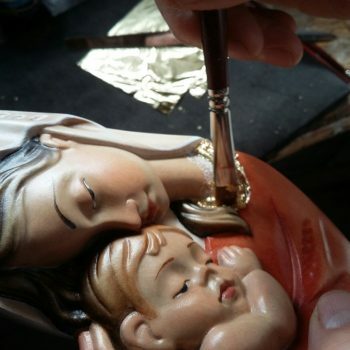 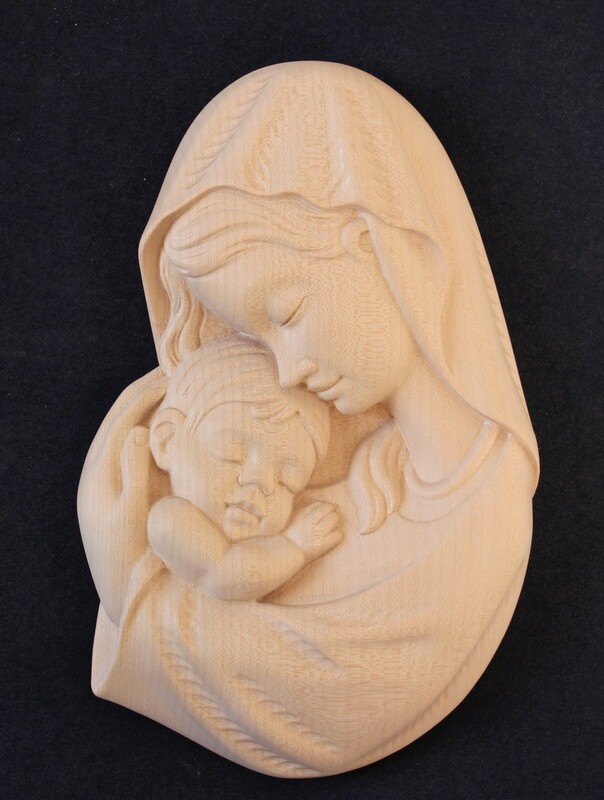 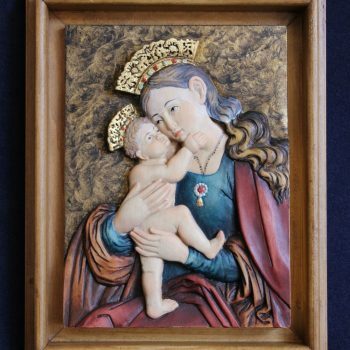 The Madonna Ami is a very simple sculpture at the same time, elegant and refined. 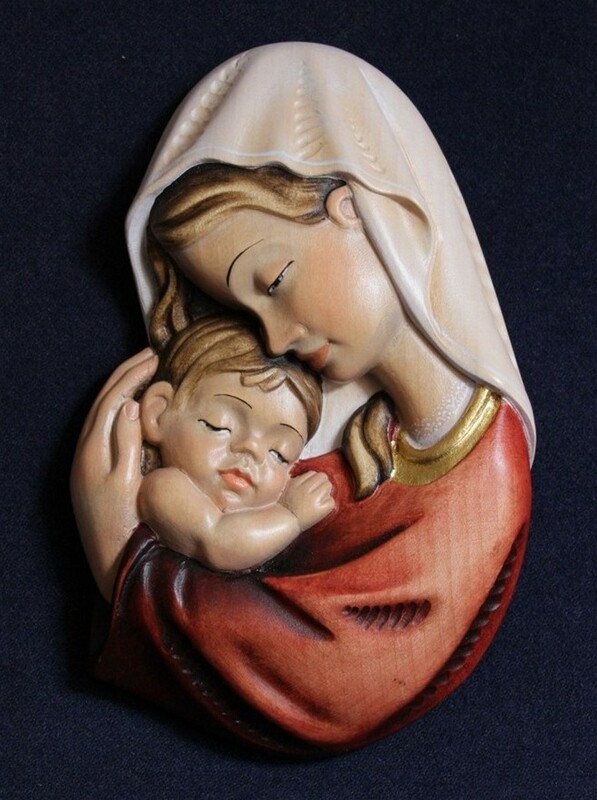 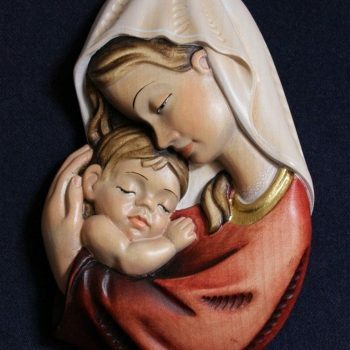 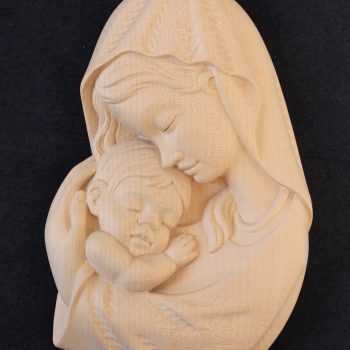 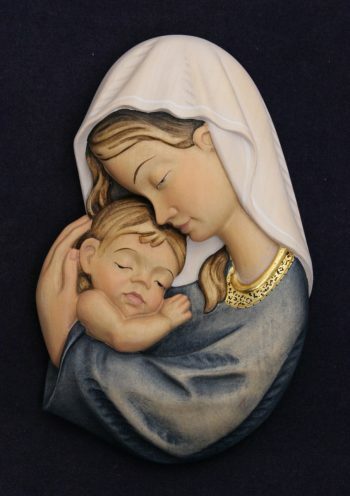 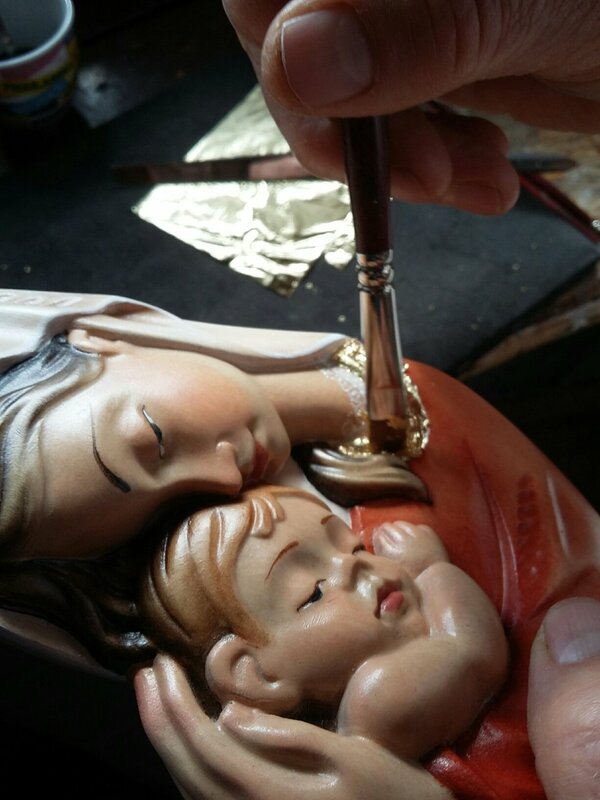 The face is seen in profile and baby Jesus is sleeping in her arms. 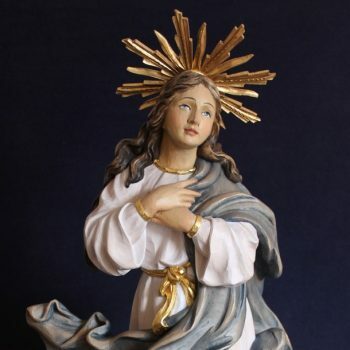 It is comes with a red or blue mantle.